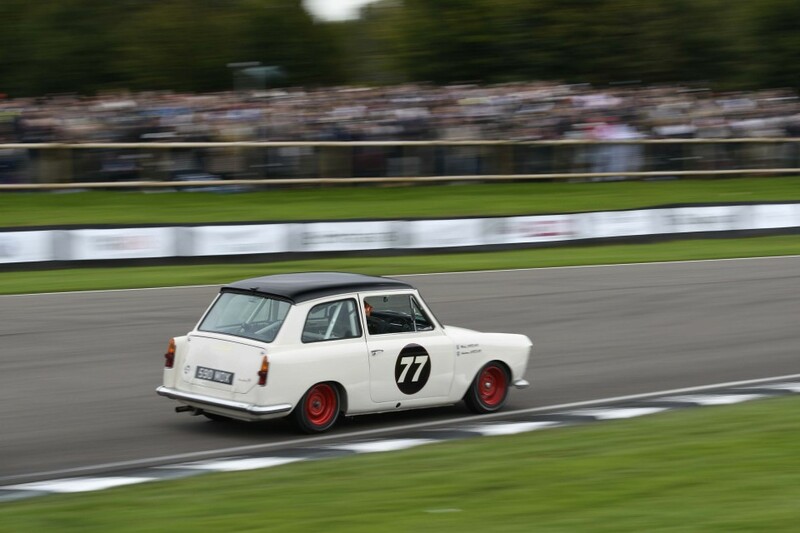 Goodwood Revival – Who is Driving What.. 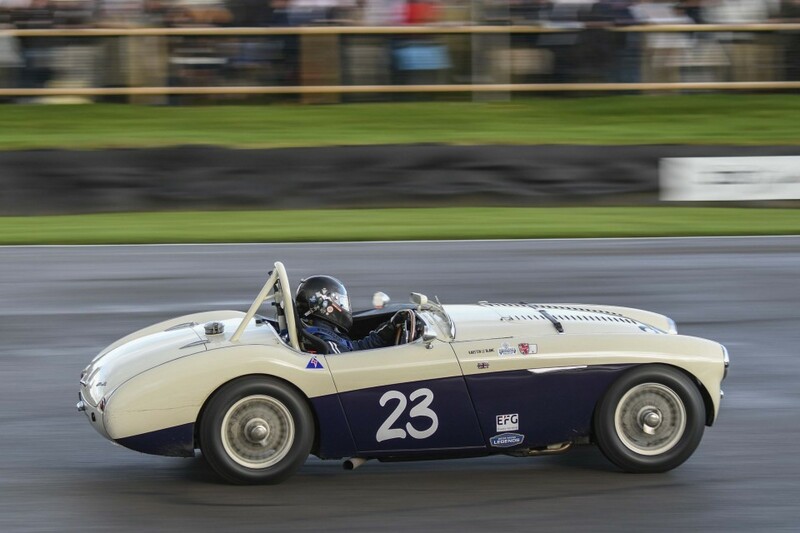 The entry lists have been revealed for the forthcoming 20th Goodwood Revival event. From September 7-9, 2018, the hallowed Goodwood Motor Circuit will once again come alive to the sights and sounds of the 1940s, ’50s and ’60s. On track there are 15 races planned over the 3 day weekend. 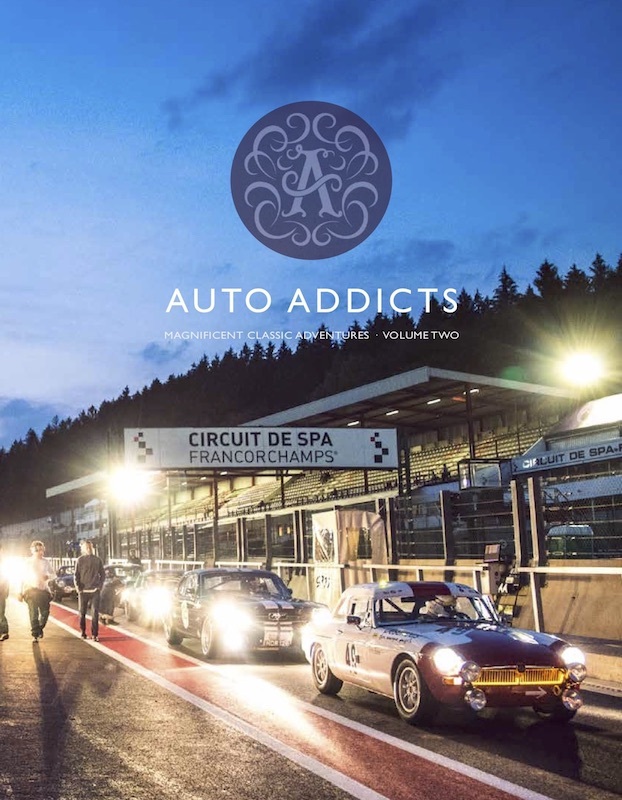 Highlights include the Kinrara Trophy, which will see many millions of pounds worth of cars race into dusk on Friday night, with some eleven Ferrari 250 GTs on the grid, alongside the Jaguar E-types, Aston Martin DB4 GTs, and Cobras among many other priceless classics. The Kinrara is perhaps the most expensive historic grid in the world, however the real excitement is likely to be in amongst the Cobra vs E-types, looking at the pro-driver line-up with the likes of Phil Keen, Nigel Greensall, Marino Franchitti, Jon Minshaw, Rob Huff, Emanuele Pirro to name just a few alongside some seriously handy owner drivers. This will be a battle worth staying on to watch. The Barry Sheene Memorial Trophy will see two races, one on Saturday and one on Sunday. Motorcycle legends including Steve Parish, Troy Corser, John McGuinness, Guy Martin, James Hayden and many others all climb aboard machines that raced before 1959, the highlight being the Le Mans-style start that sees riders sprint across the grid to their motorcycles. The headline race takes place on Sunday with the Royal Automobile Club TT Celebration. 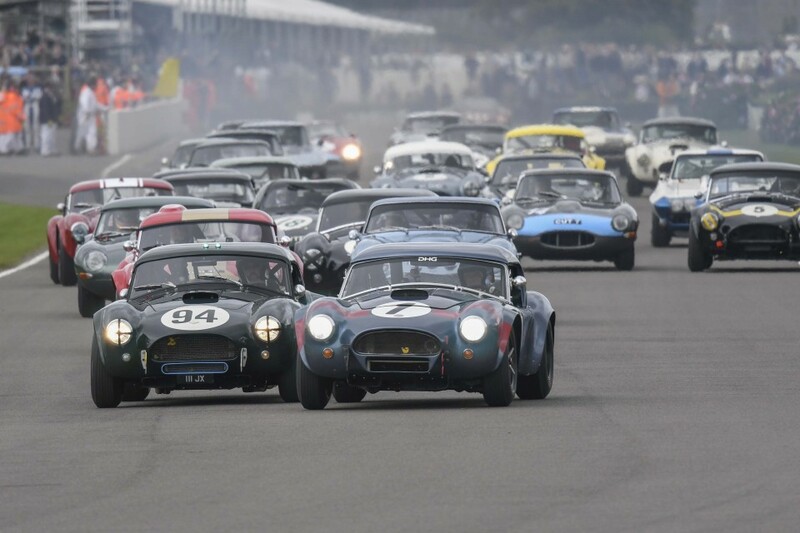 It has been a staple in the Revival race schedule since 1998 with a grid packed full of 1960s AC Cobras, Chevrolet Corvettes, Jaguar E-Types and more famous drivers look out for Derek Bell, Brain Redman, Richard Attwood all racing alongside Matt Neal, Darren Turner, Stig Blomqvist, Jochen Mass… and so on. Away from the track there is even more to experience. The Freddie March Spirit of Aviation concours for pre-1966 aircraft will feature a celebration of the RAF’s centenary, with several scheduled flying displays. The Earls Court Motor Show presented by Sky Movies will have a special display of cars and bikes directly connected to the Hollywood silver screen legend Steve McQueen and over on the Revival High Street visitors can explore the best in period fashion, shopping and enjoy an all-singing, all-dancing fashion show. Over the Road will host a traditional funfair, complete with an old-school big wheel, helter-skelter and carousel. Butlin’s will be rolling back the years for their seventh year, offering free roller-skating to visitors in the Butlin’s Ballroom, styled exactly as it would have been in a 1950s Butlin’s Resort. Redcoats will entertain the children as well, encouraging games such as ‘limbo’, ‘follow the leader’ and ‘stuck in the mud’. The Revival Cinema will once again be presented by Sky Cinema, featuring family films throughout the weekend. Adjacent to this will be the Bonhams historic vehicle auction and the Smith & Williamson Classic Car Show, where visitors can become part of the event, bringing their own classic cars for display. For the first time this year, Over the Road will be open on Thursday evening for further revelry for those with a general admission ticket to any day of the event weekend. The Goodwood Motor Circuit was originally established by the 9th Duke of Richmond, known as Freddie March, at the end of the Second World War. Freddie was passionate about racing and was persuaded by his friend, and RAF hero, Tony Gaze that the perimeter road of RAF Westhampnett would made a thrilling race track. The circuit opened in September 1948 to host Britain’s first post-war motor race meeting at a permanent venue. Goodwood became the spiritual home of British motor racing, staging headline races such as the Tourist Trophy for sports cars and the Glover Trophy for Grand Prix cars. All the top drivers of the day raced at Goodwood, from Juan Manuel Fangio and Stirling Moss in the 1950s, to Jim Clark and Graham Hill through the 1960s. The circuit held its last race meeting in the summer of 1966, when the Duke of Richmond feared that the current crop of cars were becoming too fast for the Sussex-based circuit. On 18 September 1998, 50 years to the day since the circuit first opened, the current Duke of Richmond, (Freddie March’s Grandson, known then as Lord March), brought motor racing back to Goodwood with the very first Goodwood Revival meeting and it has been a phenomenal success from day one. The circuit had been painstakingly restored to look as it did in its heyday while complying to modern safety standards. The Revival has since become one of the biggest annual historic motorsport events in the world and the only one to be staged entirely in period dress. Each year over 150,000 people descend on this quiet corner of West Sussex to enjoy the three-day event. Please find the full entry list for all races here.